Seat belt color question for a 723 interior, 11C build. I was over on Camaros.net and somebody brought up the fact that the seat belts of a code 723 interior should have been dark green in late '68. 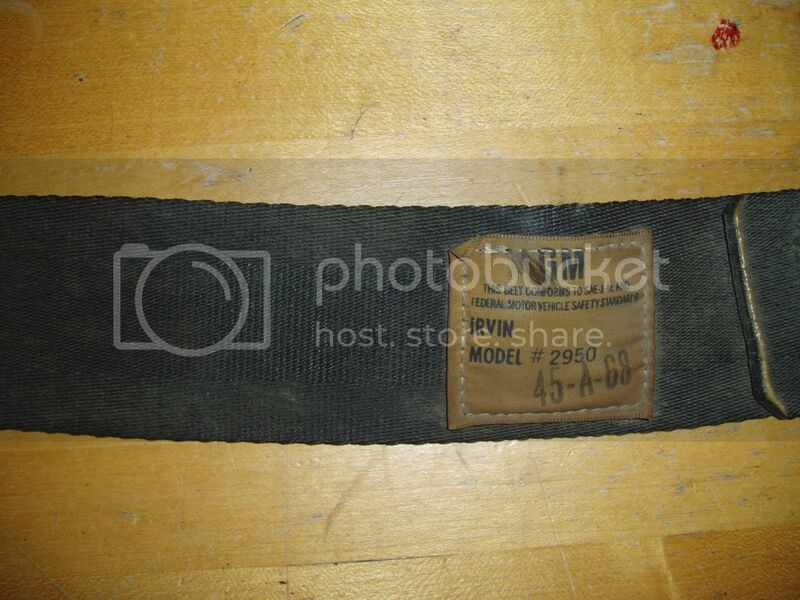 My original belts (with proper 11/68 date code) are black even though I've got the 723 dark green interior. Is there a reason why my belts would be black instead of dark green? Or is it just a deviation from the norm at the factory? Re: Seat belt color question for a 723 interior, 11C build. All standard seat belts were black, regardless of interior color; they were still black with the deluxe (Z87) interior too. Deluxe belts matched the interior color, but they were a stand-alone option, not tied to any other option, and had to be ordered separately. under 1969, footnote 'e' states that the standard seat belts are green. I forgot about the green-to-black change in December/January for standard belts; if yours has green belts that appear to be original, your car may represent an earlier data point for the changeover than we've observed to date. I will dig them out when I get home today to be sure of the color and then I'll post some pics of everything. They certainly look black to me. I soaked them in soapy water for days making sure that all the dirt came off. I know that this particular belt is original to the car because I was the one breaking sockets trying to remove it from the car . We need to update that note and I need to finish my seatbelt article. Your belts are original and black. Most 723 std belts were black.